It takes a certain mind to see the stories behind the items and people one passes every day. The seas of the moon. The pattern of the holes in an electric iron. A sock puppet in a counselor's bag. 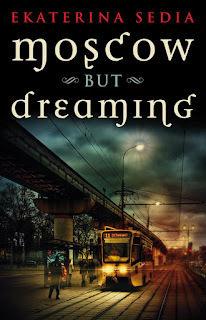 Each of these items and more, when brushed by a touch of magical realism and the mind of Ekaterina Sedia, becomes a tale in her first short story collection Moscow but Dreaming. Some of the people in this collection are memorable enough to stay with the reader long after the covers are closed. The old man in 'Tin Cans,' confronting the nightmares of his youth every evening in his position as a night watchman. The orphan girl in 'There is a Monster Under Helen's Bed,' rescued from the human monsters of her orphanage in Russia, but unable to escape demons of a different sort. The man in 'Seas of the World,' born of the Caspian and not realizing how dangerous transformation magic can be until it's too late. Even the objects in the stories burn their place in the reader's memory. The shape of the burns that the racketeers of 'By the Liter' leave on their victims, so like a Kabbalic symbol, that allow the spirit of the newly deceased to wander. The legendary bodies of water in 'A Short Encyclopedia of Lunar Seas' and the societies that inhabit each, so like their names. An elusive, mysterious building in 'The Bank of Burkina Faso,' which is so eager to accept your money, but so reluctant to return it. Even the sock puppet in 'A Play for a Boy and Sock Puppets' has more heart and more drive than one would expect from a toy with buttons for eyes. Beyond the Eastern European setting that these stories share, there's also a thread of magical realism that loosely ties these works together. In the vein if Isabel Allende and Carlos Ruiz Zafon, Sedia blurs the lines between fantasy and reality. Nearly every story in this collection has some form of the supernatural appear at some point, often where the reader least expects it. Even as these tale engage the reader and draw him in to these magical realms, a few of the stories broke the spell. As wonderful as the imagery and narrative can be, those without a good knowledge of Russian history will be sent scrambling to Google to help make sense of the backdrop. 'Tin Can' in particular sent this reader on an hour-long Wikipedia session, learning about Lavientiy Beria and the secret police of the USSR. Those who didn't live through the Cold War years may be a bit lost at times, but never enough to lessen the enjoyment of the stories at face value. This isn't a collection to be read in marathon sessions. Doing so would lessen the uniqueness of each story. These should be savored for their individuality, not seen as simply the next story in a book. 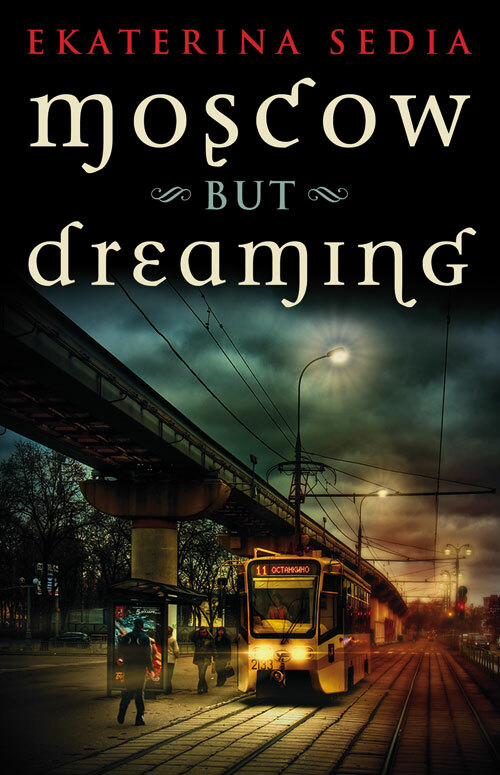 Each story of Moscow but Dreaming deserves to be examined and contemplated on its own. To do less would be a disservice to the author and the amazing worlds she creates. Highs: In each story, the reader feels the darkness behind the great fairy tales peeking around the edges, waiting patiently for its chance to come out. Lows: Because each story is so rich, the volume as a whole seems rather daunting. Verdict: A perfect book for the reader who rarely has time to sit down for long, as each story will rattle around in back of his mind for days. It's the beginning of the holiday shopping season, and it's time to start checking peoples' Amazon wish lists and listen for hints. Book readers can be a squirrley bunch, though, and none more so than those who read non-fiction. Some people read non-fiction simply for the desire to learn about the world around them, while others look down at fiction readers as escapists. Whatever the reason, there's plenty of good true stories out there to be given. Here's a few, along with the suggest audience for each. North Korea's been all over the news this year, with last winter's death of Kim Jong-Il, the rise of Kim Jong-Un and his wife Ri Sol-Ju, and the loosening of some of the restrictions there. This is a rather unique look into the most cloistered country in the world, through the eyes of an American POW. Recommended for: the current-affairs and news junkies on your list. This is a rare look into one of the less shiny subcultures in Japan. Writing with the pen name Oyama Shiro, this chronicles the life of a day laborer through the bubble years and following recession in Japan. Unable to fit into the salaryman role laid out for him, the narrator take the more difficult, yet ultimately more freeing life of manual labor. Living in a bunk in a boardinghouse, not only does he blame no one for his fall in status, he thanks his society for giving him the opportunity to live as he wishes, with no responsibilities to anyone but himself. Recommended for: people struggling with the current American recession, those who believe Japan has no underside. 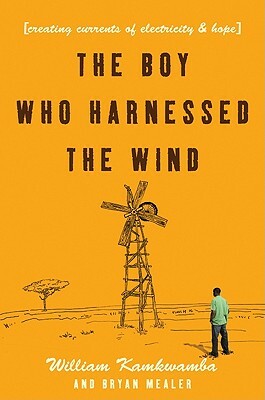 William Kamkwamba lived through some of the hardest times in Malawi. With his father unable to bring in a harvest, he couldn't afford to go to school. Even when he was young, though, he thought it was a shame that work and study had to end when it got dark. While trying to piece together an advanced science book in the village's library, he put together the bicycle lights he's seen around town and a picture of a windmill, and he brings a light in the darkness to his home for the first time. Recommended for: with a strong message of self-reliance and a happy ending, this is a safe book for anyone from upper-middle-school to a grandmother. 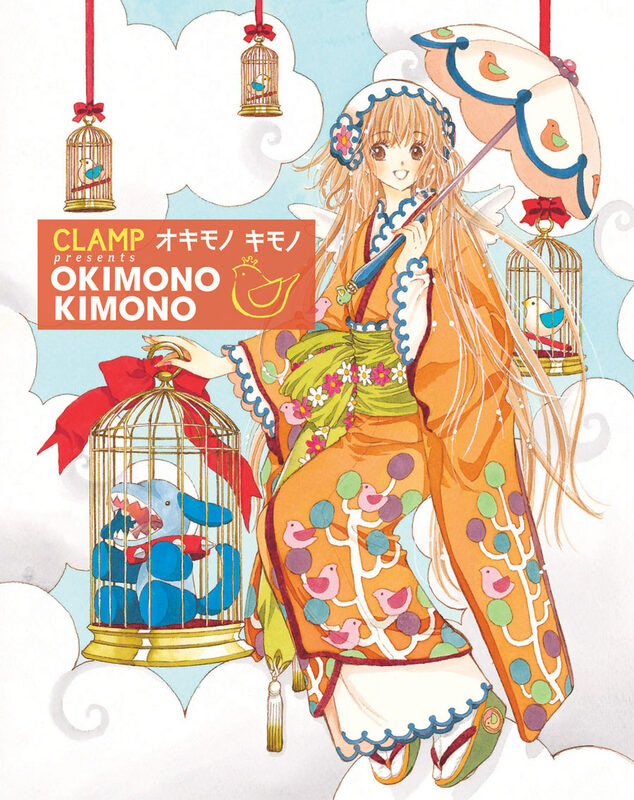 Almost more of an art book than a real story, one of the women of the CLAMP manga writing group puts together a beautiful collection of both original and traditional kimono. 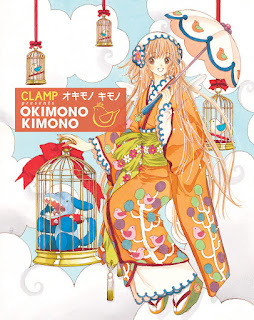 She relates her experiences in wearing kimono in regular life, as well as ways to modernize the style of dress while keeping them feminine and pretty. Recommended for: most female manga readers would appreciate the art of this book, even if they'd never dress like this themselves. Known by many aliases since her death, this is the story of the life and family of a poor black woman in Maryland. Treated at Johns Hopkins, the cancerous cells that eventually killed her opened the door to the study of human cells outside of the body. What follows is the history of her family, who never saw a dime of the money that their mother's cells made, the scientists who used her biological material without her consent, and a fascinating look at the fields of bioethics and medical patents. 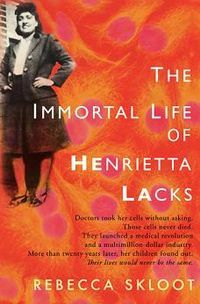 Recommended for: fans of science, civil rights and biographies alike. China has one of the most controlled 'free' presses in the world. And yet, it's still much more relaxed than in decades past. 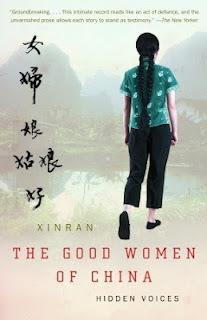 In the 1980s, as radio was slowly able to show the country a more realistic view of itself, Xinran began a late-night call in show for women. Collected here are some of the most memorable stories from those years. Told in plain language, but with a journalist's ear for narrative, the lives of the women in this book will stay with the reader long after she closes the cover. Recommended for: current events and history buffs, women's rights and civil rights activists, and anyone looking for poignant stories with a thread of hope woven within them. So there it is. That should cover most of your shopping list. But again, as always, make sure to tuck that gift receipt into the front cover. 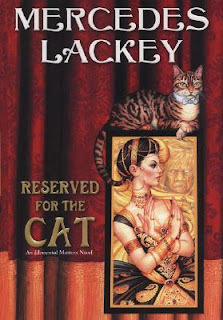 Book readers are a wily bunch, and sometimes we read even the most obscure title without anyone knowing. 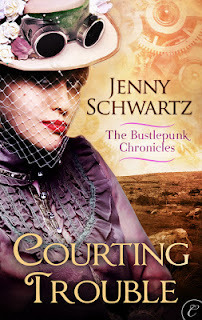 Esme and Jed are back, and just as hard-headed as ever in the second story of The Bustlepunk Chronicles, Courting Trouble by Jenny Schwartz. Note: This is the second story of The Bustlepunk Chronicles. The review of the for the first story, 'Wanted: One Scoundrel' can be found here. Otherwise, read on! A horrific look into North Korea, through the eyes of a man who lived the worst of it. South Korea, like Japan, has had a renaissance in the last century or so. With a national attitude of always striving to achieve, the small nation has international auto companies, a huge online presence, and is now beginning to export its music and culture as well. Just to the north is a country that, during the same period of time, has travelled backwards by decades. Unable to feed itself with its rocky soil and outdating farming practices, the same ethinc population is nearly three inches shorter than its well-fed southern counterparts. But even in this strange world, there is a deeper hell to fall into. Their prison camps, scattered across the countryside, are a nightmare within a nightmare. These are the places that are used to control a population that watched as much as 10% of its population starve to death in the 1990s. This is the hell that is Escape from Camp 14, by Blaine Harden. In the worst of North Korea's prison camps, the people living there aren't being rehabilitated by labor. People sent to these are never expected to leave again. They're completely self-sufficient, with the prisoners even growing the food for the guards who live on-base. There's plenty of labor to go around, and even schools for the children. At least the adults who are sent here have memories of their lives before they got here to hold on to. They remember a life outside of breaking rocks in the quarry, outside of less-than-subsistence farming, of the freedom to choose one's partner, rather than being assigned a mate for good behavior. Shin Dong-hyuk was born here. For the first 14 years of his life, he had no idea about the world outside the fences of his camp. Unbelievably, the children of Camp 14 aren't even indoctrinated into the personality cult of Kim Il-Sung and his descendants. Where the Dear Leader's portrait hangs in virtually every classroom and public space in the country, the rules of the camp are posted. Violation of Rule Three, Subsection 2 - Anyone who steals or hides any kind of food in the work camp will be shot immediately - was the cause of his six year old classmate being beaten to death in front of the class. In this twisted mockery of society, ideals of filial piety and the value of children are mostly unheard of. Starving children steal food from their equally starving parents and are beaten for it. They're taught that they are here because of the sins of their parents, and that the way to redeem themselves is to accept the guards as their teachers. And as Shin learned early on, any infraction against these rules could, and did, result in a swift and painful death. Escape never really occurred to Shin. He had no real idea that life would be different anywhere else. But when he was imprisoned and tortured following the failed escape attempt of his mother and brother, his outlook changed. 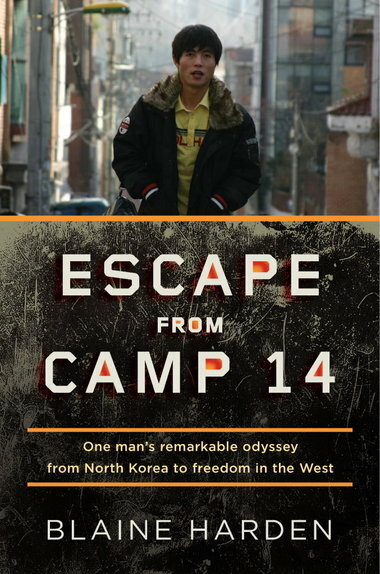 He was placed in a cell with a man who had lived outside of North Korea for a time. It wasn't the brutality of his captors that made him dream of freedom. It wasn't watching his mother and brother be hanged, or a teen's curiosity at the larger world outside. It was the stories of the banquets that the Chinese throw for any reason they can come up with. It was the dream of white rice and roast pork, from a child who had grown up on a thin gruel, with the occasional bit of Chinese cabbage and salt thrown in. It was the dream of eating until he was full that motivated Shin to be not only the first person to escape Camp 14, but the first person born in a labor camp to escape North Korea, and eventually make it all the way to the West. This is no Elie Wiesel's Night. There is no holding on to their humanity for the children born here, because they were never taught to have any in the first place. There's no message of the strength of human spirit or any other platitudes like that. This is simply one man's story of growing up in hell, and escaping to a world he's never learned how to function in. Highs: If nothing else, the reader learns to believe in blind luck, because after Shin manages to escape the prison camp itself, a string of much-needed good luck helps him along until he makes it to the South Korean embassy. Lows: This is possibly the most unrelentingly brutal, despairing book I've ever come across. Verdict: Perhaps the best accounting of a North Korean prison camp, but plan to follow reading this with something more uplifting. A cat - who might be more than he appears - helps a young ballerina from France make it big in England in Mercedes Lackey's sixth Elemental Masters novel, Reserved for the Cat. Wicked stepmothers, loyal brothers and the spirits of the woods inhabit this fairy tale retelling in Juliet Marillier's Daughter of the Forest. Despite the tribulations of her birth, Sorcha had something of a charmed childhood. If she had been born a boy, she would have been the twice-blessed seventh son of a seventh son. Not only was she born a girl, but her mother died in childbirth. While her father loved her, as he loved all her children, she was a painful reminder of the love he had lost, and besides, he was busy fighting wars and teaching her brothers to take their eventual places by his side. So perhaps Sorcha grew up a bit wild by the standards of nobility. She was taught to read and reckon along with her brothers, and while other girls were stitching samplers she learned the healing arts. She ran through the woods barefoot well into her teens, and became a bit headstrong for it. While she had no parents present to teach her to be a proper young lady, she had six doting brothers to raise her. When she got into some unpleasant plants in the forest, it was her brothers how pulled the stickers out of her hands. When she learned a new healing skill, her brothers were there to congratulate her. But even her brothers are not enough to protect her from what is to come. For their father has remarried, and she has no use for his previous family in her plans. 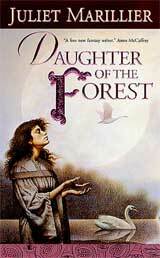 Daughter of the Forest, in the tradition of many other fantasy novels, retells the classic fairy tale 'The Six Swans.' Marillier pulls no punches with her characters, giving us some of the worst sides of human nature. The light only shines in the darkness, though, and the contrast between her and the loyalty, honor and faith of our heroine shows that even when faced with a seemingly impossible task, the human spirit can find a way to prevail. Highs: Marillier creates a feudal world with a rich history, and imparts this backstory seamlessly within the plot. Lows: While the beauty of the descriptions and the magic of the faerie realm would be loved by all ages, certain scenes of Sorcha's trials make this unsuitable for the younger fantasy audience. Verdict: A lovely story that contains both the light and the darkness of the fairy tale that it's based on.